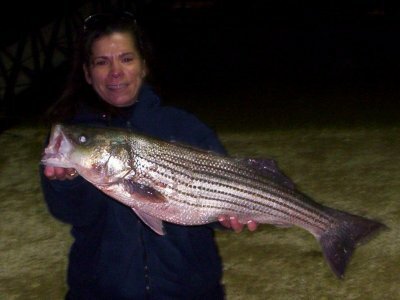 Best fishing is using live bait and working the ledges of water in the 40-60 foot range. I have seen some small groups of birds working. Keep an eye out for them and you may still catch a few fish on sassy shads or slabs.